European People’s Party – EPP was founded in 1976 and includes 74 parties from 34 countries. 46 of these parties come from countries of the European Union. The only EU country that is not represented in EPP is Great Britain.EPP has its heirs in the founders of the EU and is currently the largest party in the European Parliament, including mainly Christian democratic and conservative parties. EPP has center-right political perspectives and advocates social market economy, tradition, and further completion of the European single market. The Party of European Socialists – PES is a social-democratic European political party. In 1992, after the Treaty of Maastricht, PES was established as a European Party. There are 32 full member parties from state-members of EU and more than 20 associate and observer parties across the continent. 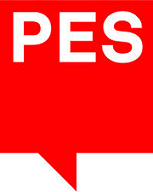 PES is the major political party of the centre-left and the second party in the European Parliament. It advocates democracy, equality, social justice, solidarity and the strengthening of European integration. Its political group in the European parliament is the Group of the Progressive Alliance of Socialists and Democrats (S&D). PES is associated with the Socialist International. Alliance of Liberals and Democrats for Europe – ALDE is a liberal democratic party with 55 members across the continent. The party was first founded in 1976 from the initiative of 14 parties and in 1993 became a transnational political party. Its main policy interests include individual economics and political freedom; it promotes free trade within the European Single Market and works for the benefit of small and medium size enterprises. ALDE supports further integration and democratization of the European Union. European Green Party – EGP was founded in 2004 at the 4th Congress of the European Federation of Green Parties. EGP is the fourth largest group in the European Parliament. It includes 38 full member parties and 7 associate and candidate member parties. It focuses on green politics and is committed to environmental responsibility. EGP advocates inclusive democracy, diversity, gender equality and supports a more participatory Europe. The party MEPs inside the European Parliament are part of the Greens/European Free Alliance. Alliance of European Conservatives and Reformists – AECR was founded in 2009 and has more than 16 member parties in Europe and Canada. AECR advocates conservative values and aims at the reformation of the European Union. 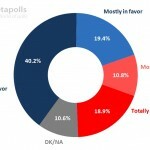 The party represents the Eurosceptic center-right through economic liberal principles. In the European parliament, it forms the group of The European Conservatives and Reformists (ECR). The Party of the European Left also known as European Left – EL is an association of democratic socialist, socialist and communist parties which was founded in 2004. It unites parties of the alternative and progressive Left and works along with social movements and trade unions. Its main principles are based on solidarity, diversity and democracy with strong opposition to the austerity measures imposed by EU policies. The party of the European Left participates in the Confederal Group of the European United Left-Nordic Green Left political group of the European parliament. Movement for a Europe of Liberties and Democracy – MELD was founded in 2011 and its members are right-wing parties. MELD opposes further integration of the European Union and many of its party members support national conservatism. It advocates respect to Europe’s history and national differences. It is a member of the Europe for Freedom and Democracy Group (EFD) in the European Parliament and has members from 12 EU countries. 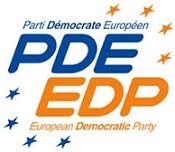 European Democratic Party – EDP was founded in 2004 and is a centrist European political party. It gathers parties that support further integration in the European Union with emphasis on democratic institutions. The party advocates the European ideal against all Eurosceptic perspectives. It has 10 member parties and 8 MEPs that participate in the Alliance for Liberals and Democrats European parliament Group. European Free Alliance – EFA was founded in 1981 and gathers regionalist, autonomist and nationalist parties. EFA promotes the right to self-determination, democracy and human rights. Its member parties advocate independence and self-governance for their country or region. It includes 36 parties from almost every region of the EU that has a movement demanding autonomy or independence, like Catalunia, Basque Country, Scotland etc. The European Alliance for Freedom-EAF consists of Members of the European Parliament and members of national and regional parliaments across Europe. EAF advocates national freedom and opposes centralised control. Its members claim not to operate within the classic Left-Right political spectrum. 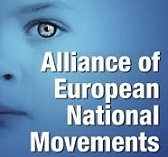 Alliance of European National Movements-AEMN was founded in 2009 in Hungary. 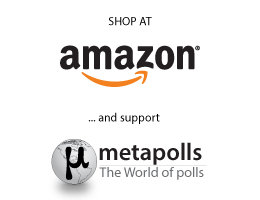 It consists of various far-right and nationalist parties and movements from around Europe. AEMN supports the protection of the diversity of separate cultures and opposes any further integration of the EU or centralisation of decision-making.